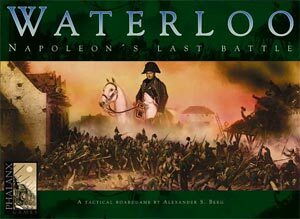 After this sale, we won’t be handling Phalanx Games products any more, so grab them while you can. All shipping charges apply. 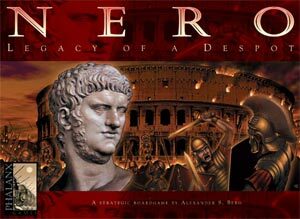 It is 69 A.D., Nero, the last of the Julio-Claudian Roman Emperors, is dead. Four Roman generals vie for the throne. For three or four players, ages 12 and up. Rodrigo Borgia, later Pope Alexander I, has been named "the incarnation of the devil on earth." 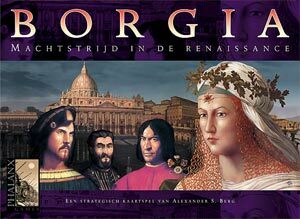 Methods like corruption and murder are acceptable if they help you dominate Renaissance Italy. For three to five players, ages 12 and up. A beautiful new edition of the award-winning classic game by Frank Chadwick. 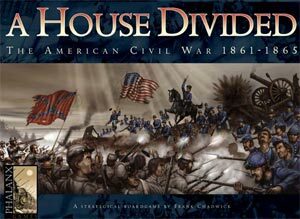 A House Divided simulates the epic struggle of the American Civil War. For two players, ages 12 and up. On March 1, 1815, Napoleon landed in Marseilles and marched on Paris. 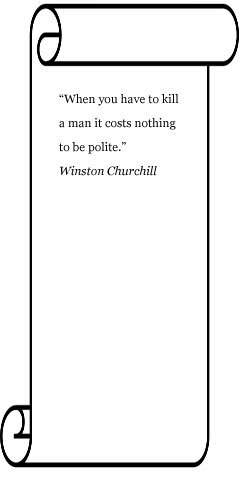 The people hailed him as a hero, and he was soon reinstated as their leader. His New Empire was to last only 100 days. . . .
For two or three players, ages 12 and up. 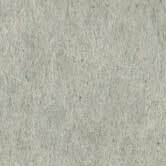 Set in the period chanted by Homer. 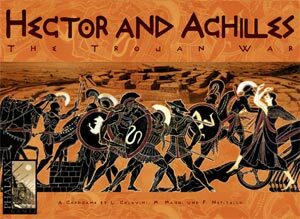 The Trojans fight the Achaeans and the heroes of the Iliad. For two players, ages 10 and up.